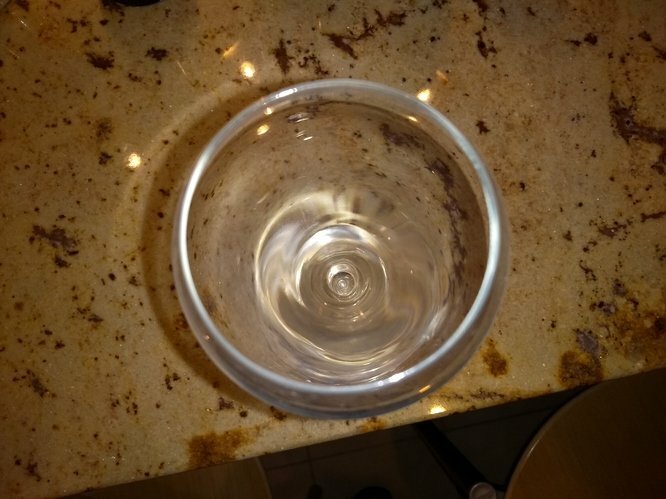 Stemware (wine glasses) - what do you use? I very nearly went to that, what was it like? Yeah it was good. I’ve been 3 years on the trot. I particularly enjoy speaking to the winemakers. I was chatting to the winemaker from Carmelita (Uco Valley, Argentina) about how he imports French barrels for the wine. Logistical nightmare and very expensive! Also met the couple behind Montgomery wine in Wales. Memorable story of how they started out. Great wines too. 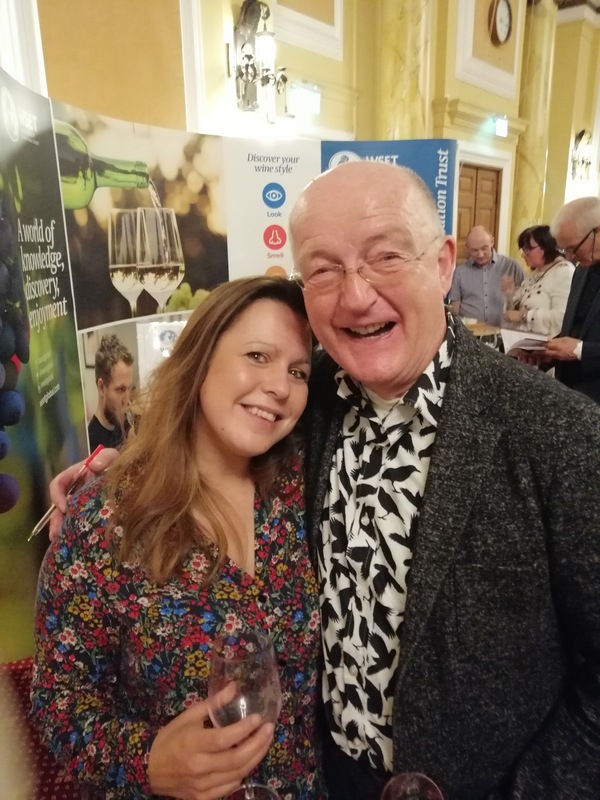 I also had a long chat with the good folk from Yapp wines. Mostly eulogisining about Alain Graillot’s wines. The WS stand is also a highlight! Always end up getting a bit tipsy and spending a fortune. It’s also pretty busy. But it’s £50 for me and Mrs. AB, we go with mates and it’s great fun. Also nice to chat to Oz, Tim and Olly. Here is Mrs. AB and Oz. Good fun. Recommended. Interesting reading everyone’s replies. We have loads of glasses (too many really) from Reidel to basic Sainsbury’s stuff. To some degree I think the right wine for the right glass debate is a load of tosh, as is the decant or not issue. One thing I really rail about however is the Reidel “O” series for white wines. I absolutely love the red wine shapes (very hand-friendly) but why oh why are they made for white wines, where the hand warms the wine…madness! Picked up 6 of these for £9 in TK Maxx today. Reminiscent of the Olly Smith glass shape. Pleased. 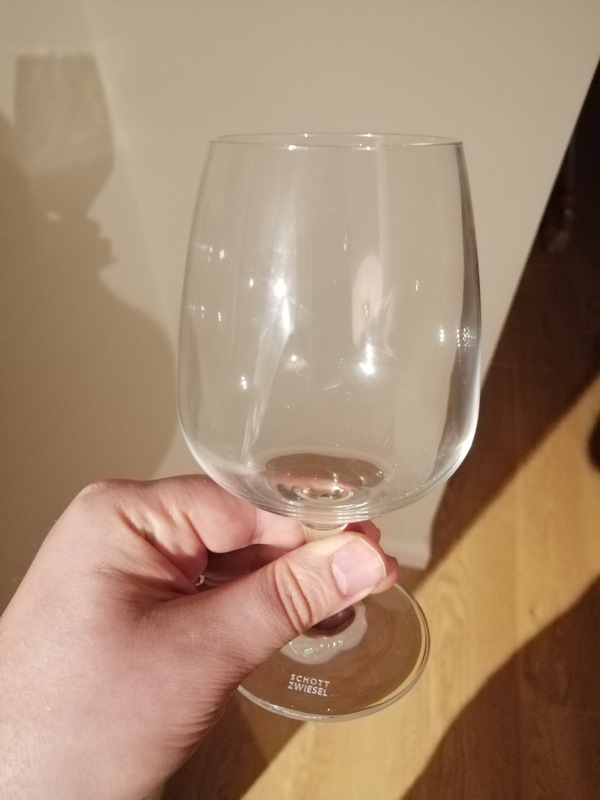 I absolutely love the red wine shapes (very hand-friendly) but why oh why are they made for white wines, where the hand warms the wine…madness! I don’t usually spend much time holding them - they sit on the table by my plate. For walk-around parties it’s different though, I guess. My problem with red Os is getting my hand round the glasses in a way that lets me swirl them without moving my arm. And I have pretty big hands. Prefer the Chard/Viogniers, even for red wines, as they are easier to handle. The big ones usually come out for G&Ts, for which they are excellent. My problem with red Os is getting my hand round the glasses in a way that lets me swirl them without moving my arm. 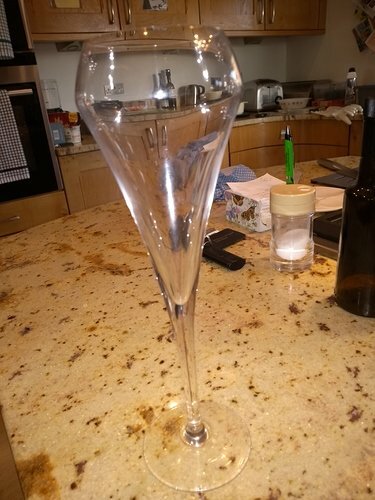 Those Champagne glasses look good in the body, but the image on Amazon appears to show they have a lip on the rim. Is that so? Hi Peter, no lip. Couple of photos. Prices vary even on Amazon.